Selling opportunity as remain below 8100 we may see 7600-7500 in coming days. Above 8100 major resistance zone will be 8200-8250. Banknifty selling opportunity below 17300 we may see 16900/16500 level in coming days. Major support zone will be 16200-16150. A rebound in global stocks aided recovery on the domestic bourses after the carnage witnessed yesterday, 24 August 2015. The barometer index, the S&P BSE Sensex, was up 351.37 points or 1.36% to 26,092.93, as per provisional closing data. The gains for the Sensex in percentage terms were higher than those for the 50-unit CNX Nifty. The Nifty was was up 71.70 points or 0.92% at 7,880.70, as per provisional closing data. Oil, metal and banking stocks led recovery for key benchmark indices. The Sensex provisionally settled above the psychological 26,000 level, having alternately moved above and below that mark in intraday trade. A rout in global stock markets triggered by concerns of a slowdown in China's economic growth took the Sensex below the psychological 26,000 level yesterday, 24 August 2015. 1. Banks shares edged higher. Among PSU banks, State Bank of India (up 3.42%), Indian Bank (up 3.38%), Vijaya Bank (up 2.42%), Punjab National Bank (up 2.18%), Union Bank of India (up 1.88%), Canara Bank (up 1.68%), Dena Bank (up 1.56%), Allahabad Bank (up 1.28%), Andhra Bank (up 1.24%), Bank of India (up 1.21%), Corporation Bank (up 0.85%), Bank of Baroda (up 0.79%), United Bank of India (up 0.70%), Syndicate Bank (up 0.23%), Bank of Maharashtra (up 0.15%) and UCO Bank (up 0.11%), edged higher. Punjab and Sind Bank (down 1.4%), IDBI Bank (down 1.66%) and Central Bank of India (down 9.66%), edged lower. 2. Most metal shares edged higher. Vedanta (up 7.66%), Tata Steel (up 4.29%), Hindustan Zinc (up 3.38%), JSW Steel (up 3.29%), Hindalco Industries (up 2.60%), Steel Authority of India (up 2.38%), Jindal Steel & Power (up 1.70%), Bhushan Steel (up 1.40%) and NMDC (up 0.11%), edged higher. National Aluminium Company (down 0.17%) and Hindustan Copper (down 2.29%) edged lower. 1. Meanwhile, Parliamentary Affairs Minister Venkaiah Naidu reportedly said today, 25 August 2015, that the government is considering reconvening Parliament to get the Parliament's nod for the Goods and Service Tax (GST) bill. The government failed to get the GST bill passed during the recently concluded monsoon session of parliament. 2. India's weather office, the India Meteorological Department (IMD), said in a daily report issued yesterday, 24 August 2015, that for the country as a whole, cumulative rainfall during this year's monsoon season was 11% below the Long Period Average (LPA) until 24 August 2015. Region wise, the rainfall was 19% below the LPA in South Peninsula, 14% below the LPA in Central India, 6% below the LPA in East & Northeast India and 4% below the LPA in Northwest India until 24 August 2015. 1. In today’s session we have seen call writing in 8000 and 7800 strike price, we may see 8000 as a strong resistance level in coming days. 2. SBIN 250 and 260 calls and puts were so active, we may see selling below 260 level. 3. DLF 100/110 puts were so active today, we may see more selling as remain below 100. Sell Lupin below 1820 stock may show 1780/1750 level in coming days. Sell NMDC below 97 for the target of 85/80 in coming days, keep sell on rise. • BUY M&M ABOVE….? TGT…..?STOP LOSS……? • SELL VOLTAS BELOW….? 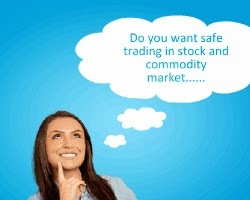 STOCK MAY SHOW 250/230 LEVEL IN COMING DAYS WITH STOP LOSS…? 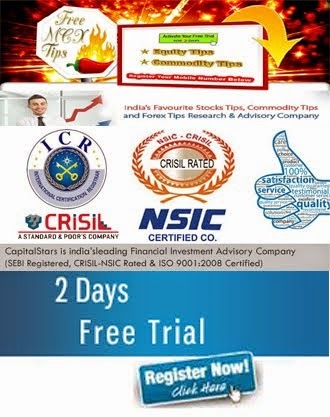 As we have already suggested free fall will be seen once nifty break 8200 level, same thing happened today, we hope you have follow our strategy and earn good profit. As per the global scenario more selling is expected, but sell on rise will be the best strategy. Banknifty selling opportunity below 18300 we may see 17700/17500 level in coming days. Major support zone will be 17500-17650. A sell off in oil, banking and metal shares led the carnage on the domestic bourses. The barometer index, the S&P BSE Sensex, tanked more than 6%, as per provisional closing data. The 50-unit CNX Nifty plunged 5.92%, as per provisional closing data. The Sensex hit its lowest level in more than a year. The Nifty hit its lowest level in more than 10 months. The Nifty ended below the psychological 8,000 mark, as per provisional closing data. Earlier, the Nifty had regained the psychological 8,000 mark after falling below that level at the onset of the trading session. The Sensex ended below the psychological 26,000 level, as per provisional closing data. Earlier, the Sensex had fallen below the psychological 27,000 at the onset of the trading session. The sharp setback on the Indian bourses was triggered by a rout in Asian stocks. 1. Metal and mining stocks dropped on concerns about slowdown in China's economic growth. Hindustan Zinc (down 12.9%), Bhushan Steel (down 12.28%), Tata Steel (down 12.16%), Steel Authority of India (down 8.94%), Hindalco Industries (down 8.31%), JSW Steel (down 8.31%), Hindustan Copper (down 8.15%), Jindal Steel & Power (down 4.1%) and National Aluminum Company (down 3.12%), edged lower. NMDC was up 0.64%. China is the world's largest consumer of copper, aluminum and steel. 2. Banks stocks declined. Among PSU banks, Bank of India (down 15.32%), UCO Bank (down 15.07%), IDBI Bank (down 13.79%), Central Bank of India (down 13.34%), Andhra Bank (down 13.03%), Syndicate Bank (down 13.02%), Union Bank of India (down 12.84%), Canara Bank (down 12.73%), Punjab National Bank (down 10.65%), Bank of Baroda (down 8.17%), State Bank of India (down 7.85%), Indian Bank (down 7.74%), Punjab and Sind Bank (down 7.24%), Vijaya Bank (down 7.13%), Corporation Bank (down 6.92%), United Bank of India (down 6.74%), Allahabad Bank (down 5.85%), Dena Bank (down 4.13%) and Bank of Maharashtra (down 3.27%), edged lower. 1. Meanwhile, Reserve Bank of India Governor Raghuram Rajan was quoted as saying at a banking conference today, 24 August 2015, that the RBI has no hesitation in using the foreign exchange reserves when appropriate to reduce volatility in the rupee. India has steadily built up its foreign exchange reserves to a record high of more than $355 billion since Rajan took the helm of the RBI in September 2013, when the rupee was in the midst of its worst crisis in more than two decades. 2. Chinese stocks led a sell-off in Asian markets today, 24 August 2015, as fears about the deepening effects of a slowdown in China's economy rattled investors. In mainland China, the Shanghai Composite lost 8.49%. In Hong Kong, the Hang Seng index lost 5.17%. The sharp setback in Chinese stocks materialized as China's central bank failed to take expected action over the weekend to provide more support for the financial system. China's surprise move to devalue its yuan two weeks ago — which could make its exports more competitive — and a string of weak data signal the economy may be feebler than expected, despite a campaign to rev up growth including interest rate cuts and measures to boost lending. Sell NMDC below 94 for the target of 85/80 in coming days, keep sell on rise. 3. SELL VOLTAS BELOW….? STOCK MAY SHOW 250/230 LEVEL IN COMING DAYS WITH STOP LOSS…? Selling opportunity on rise, sell as remain below 8500 we may see 8300-8350 level in coming days. Above 8500 we may see some fresh buying and it may touch 8600-8650 level. Banknifty selling opportunity below 18700 we may see 18200/18100 level in coming days. Major support zone will be 18200-18150. Banking and oil stocks led losses for key benchmark indices. The barometer index, the S&P BSE Sensex, and the 50-unit CNX Nifty, both, hit one-week low. The decline on the domestic bourses was broad based. There were more than two losers against every gainer on BSE. The weakness on the domestic bourses was due to weakness in global stocks. The Sensex was provisionally off 284.24 points or 1.02% to 27,647.40. The decline in the Nifty was higher in percentage terms compared with the decline in the Sensex. The Nifty was provisionally off 122.40 points or 1.44% at 8,372.75. 1. Metal and mining stocks edged lower on weakness in industrial metal prices in the global commodities markets. Jindal Steel & Power (down 8.43%), Tata Steel (down 3.28%), NMDC (down 2.86%), Steel Authority of India (down 2.52%), Hindalco Industries (down 1.45%), JSW Steel (down 1.22%), Hindustan Zinc (down 1.1%) and National Aluminium Company (down 1.88%) edged lower. 2. Vedanta was off 4.19% at Rs 98.30. The stock hit a high of Rs 102.50 and a low of Rs 95.90 in intraday trade. Vedanta after trading hours yesterday, 19 August 2015, reiterated that its subsidiary Bharat Aluminium Company (BALCO) has decided to close down its Rolled Product business due to a steep fall in aluminium prices globally, negative margins and huge imports. The Rolled Product Business produced 46,000 tonnes of the product in the year ended 31 March 2015, Vedanta said. 1. India imports about 80% of its crude requirements and a decline in crude prices eases concerns on fiscal deficit, inflation and gives more room for the government to boost growth through spending on infrastructure. However, a weakness in rupee against the dollar will restrict the benefit of falling global crude oil prices to that extent. A weak rupee raises the cost of imports. State-run oil marketing companies have been cutting petrol and diesel prices on the back of falling international prices. Lower diesel prices will reduce transportation costs which in turn will reduce fuel price inflation. Diesel is a key transportation fuel. 2. Chinese stocks reversed sharp intraday decline and ended higher after the central bank injected more funds into the financial system for a second day in a bid to calm panicky markets. The Shanghai Composite rose 1.23%. In Hong Kong, the Hang Seng index lost 1.31%. Meanwhile, the Chinese central bank has reportedly announced that it will offer new medium-term lending facility (MLF) loans to some select banks. The Shanghai Composite Index had tumbled 6.1% yesterday, 20 August 2015, amid fresh anxieties about China's commitment to steadying the stock market. 1. In today’s session we have seen call writing in 8500 and 8400 strike price, we may see 8500 as a strong resistance level in coming days. 2. ADANIPORT 380 and 390 calls and puts were so active, we may see 390 level in coming days. 3. TATASTEEL 250/240 puts were so active today, we may see more selling as remain below 250. Buy DRREDDYS above 4250 stock may show 4350/4400 level in coming days, below 4250 major support will be 4180. Buy stock above 1080 stock may show 1150/1200 level, remain below 1080 more down side is expected. Buy AUROPHARMA above 800 for the target of 840/855 in coming days, keep buy on dips. INDIAN EQUITY BENCHMARKS fell about 1.5 percent amid global risk aversion, while Infosys declined on speculation that it may announce acquisitions which may weigh on its earnings. The S&P BSE Sensex and CNX Nifty ended 1.16%-1.44% lower each. The crucial resistance for Nifty is now seen at 8420 and above this 8455. Support for the immediate term is now placed at 8325 and next support will be 8295.